This month we start a two-part series looking at changing patterns in how consumers from both islands are spending their hard-earned incomes. This month we look at how South Island consumers are splashing their cash, and how they are making decisions in the marketplace about how best to allocate their spending. as well as adapting to changing prices. 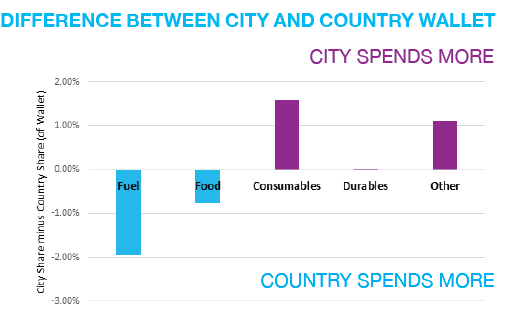 In general, city-dwelling consumers from Canterbury & Otago spend more on consumable products and other storetypes than country consumers from the Rest of South Island. Country consumers on the other hand spend more of their wallet on household staples like Fuel and Food. This is likely due to a combination of geographic isolation in the regions pushing prices up, and differences in consumer demographics. This is particularly prevalent for Fuel, with the major South Island terminals existing in Nelson, Lyttleton, Timaru, Dunedin and Bluff meaning the further away from these locations the higher the costs and generally the higher the price for consumers. In the table below we have looked at the at the change in where retail consumers’ have spent their wallet. The standout feature is that customers from all regions are allocating substantially more of their budgets to Fuel this month compared to the same month last year due to rising prices. This seems obvious, but what impact is that having on broader consumer behaviours? WHAT DO WE GIVE UP WHEN PAYING MORE FOR FUEL? There appears to be a real city vs country split in what people from different regions give up when faced with higher fuel prices and subsequent increased fuel spending. For example, when Southland consumers are faced with having to spend more at the pump, they reduced Clothing as a percentage of their total wallet by 0.6%, Food & Liquor and Department Stores down by 0.4% and Bars, Cafes and Restaurants by 0.2%. Tasman residents on the other hand gave up Books and Stationery, and Cafes, Bars and Restaurants which experienced a decrease in share of 0.8% and 0.7% respectively when fuel prices rose. Canterbury residents however forewent spending on Automotive Repair, with its share down 0.6%, and Food and Liquor spending down 0.7%, while continuing to increase their proportion of spending at Bars, Cafes and Restaurants by 0.3% and held steady their spending on Clothing and Footwear. Homeware and Hardware spending has grown in popularity in the warmer, sunnier and drier climates of Marlborough with making up 1.3% more of the budget this year than last and 0.9% more in Canterbury, substantially greater rises than in other parts of the island. As continued demand for housing in these areas looks to be putting pressure on owners to upkeep their property/s to increase their capital value, they are keeping Homeware/Hardware retailers busy. The Upper South Island is seeing growth in the Travel Agency category as locals look to expand their horizons. Food & Liquor spending has become an increasingly large part of the West Coast consumer budget likely owing to flow on effects from the price of fuel and the Coast’s relative geographic isolation. 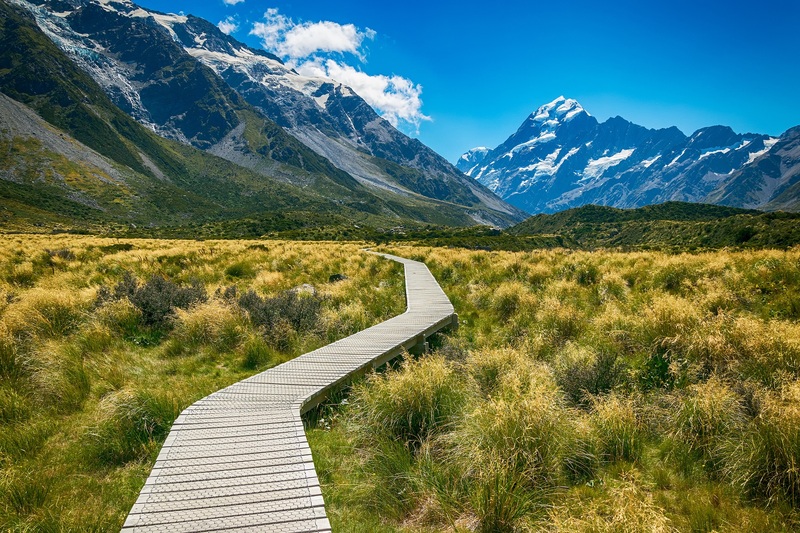 There are many differences in terms of jobs, culture and lifestyles between the country and city in New Zealand. But it also appears that this extends to consumer behaviour and attitudes towards what is a necessity and what is discretionary.